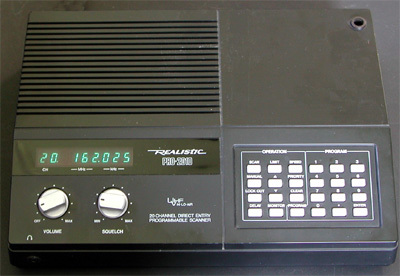 It's fairly simple to equip the Realistic PRO-2010 with a discriminator output. The interior of the scanner is spacious, and DIL IC's are used. 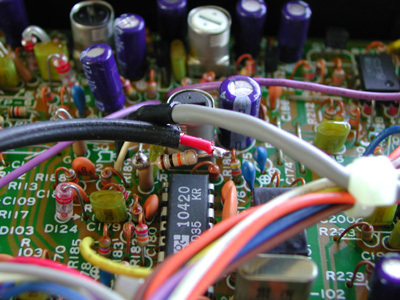 The receiver IC is a 10420. 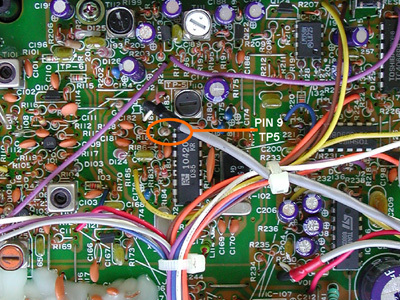 The unfiltered audio can be found on pin 9 and on test point TP-5, so no soldering to the IC is required..
TP5 consists of a vertically mounted, unmarked 0 Ohm resistor. A 10 k resistor is connected to TP5. The other lead of the 10 k resistor is connected to piece of shielded wire. The braid of this wire can be connected to the shield of a coil close to the receiver IC. The other side of the shielded wire is connected to a 3.5 mm jack that can be mounted in the side panel of the scanner.